Munsell Color System; Color Matching from Munsell Color Company > color-blog > Science Schmience… What About the Psychology of the Color Orange? 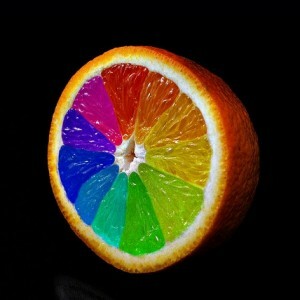 Science Schmience… What About the Psychology of the Color Orange? 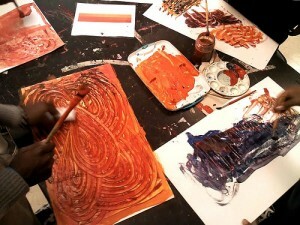 Art teacher Ms. Amy reviews color theory with student focusing on orange hues. Munsell likened the teaching of color to that of music—start out by teaching a basic scale of notes, e.g., a single octave, and then build to include intensity, pitch, etc. Despite differing teaching philosophies between Bailey and Munsell, one thing holds true—the bolder orange (10R or 5YR on the Munsell hue circle), which Bailey thought should be included when teaching color to children, was not part of Munsell’s primary hues. Therefore, according to Munsell, by including “orange” (10R) one cannot teach a balanced approach to color—not to mention the fact that from Munsell’s artistic perspective using pigments, there’s no such thing as “orange”—only a combination of yellow and red pigments. Munsell’s color system was vetted through leading scientists and psychologists during its inception. In reply to your note, I sail next week from New York for the Mediterranean, and so must defer showing you the color charts until my return in October, when it will be a pleasure to make a definite date. For two years, my efforts to give you such a demonstration have failed because you were otherwise occupied; but you have only to make a definite engagement next Fall, and my time shall be at your disposal. And now, may I say something very frankly, without offense, believing you will accept it as the wound of a friend. Some statements have appeared in the School Arts Book and elsewhere, which I am sorry to have you make; because to others beside myself, they give the impression that you are unfamiliar with the scientific basis and measured balance, which differentiate my system from the work of other writers in this field. For your sake as well as my own, I want you to be familiar with the full scope of this new measured color system, which means that you need to set apart at least two hours to study the chart and measuring tests, which are fundamental to clear thinking or definite speech about this marvelous color faculty and the sensations which underlie its exercise. After such study, you will cease to say that I am opposed to the use of strong colors for children, and that I “manage” the color circle “by omitting orange as a standard.” Such a view is impossible to anyone who studies the book without prejudice. For several years, the book has been subjected to close scenting by physicists, physiologists, and psychologists; and Professor Techner’s quotation (which I hope you will look up in the January number of the American Journal of Psychology) is but one of the many appreciations. A letter just received from Munich says the work is to be taken up next fall in the High School of Drawing. So to put yourself in touch with progress – you certainly need to heed my friendly warning. For two years, my efforts to give you such a demonstration have failed, because you were otherwise occupied, but you have only to make a definite engagement next fall and my time shall be at your disposal. Enough said… imagine if they had Facebook or Twitter back in the early 1900’s. This would have been an interesting tweet stream! 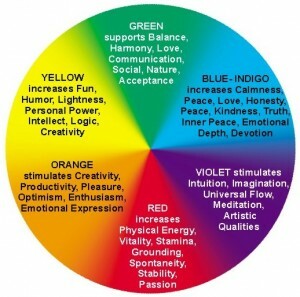 Learn more about the psychology of color and the Munsell color system. A. H. Munsell Color Diary, 1908-1918, Volume B Part 2 (pp. 262-266). Courtesy of Rochester Institute of Technology, Munsell Color Science Laboratory. Hauer, Itten, Albers + Herschfield-Mack make perfect sense of it (see: Runge 1810).